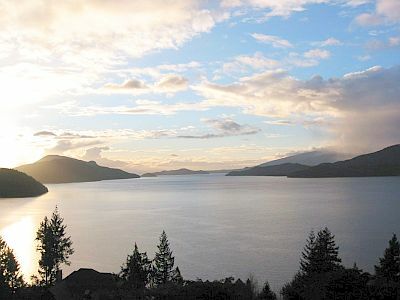 Perched high up on a mountainside, Serenity Bay exudes west coast excitement. 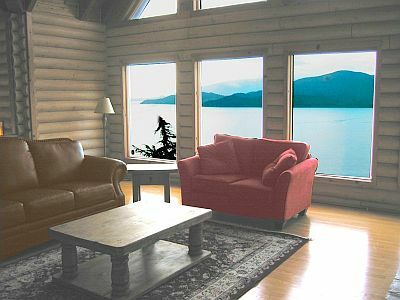 The large west facing windows provide views of Howe Sound and the opportunity to enjoy the setting sun over the Pacific Ocean. Entering through the front door of this 6 bedroom 5000 sq. 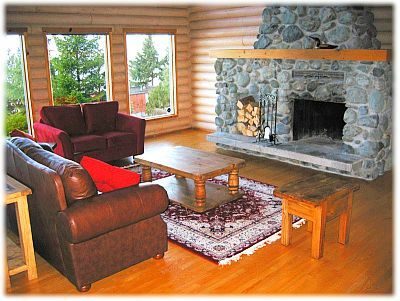 ft custom built log home finds you in a living room boasting 18 ft ceilings and a large river-rock fireplace. 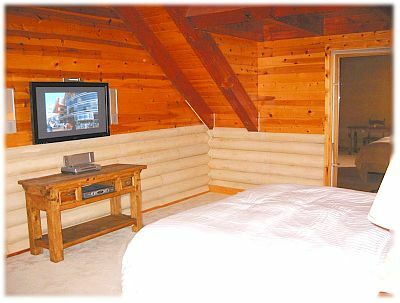 Over-looking the living room is a large loft equipped with a wide screen LCD television, home theatre, a billiards table and free standing wood burning stove for your heating comfort. 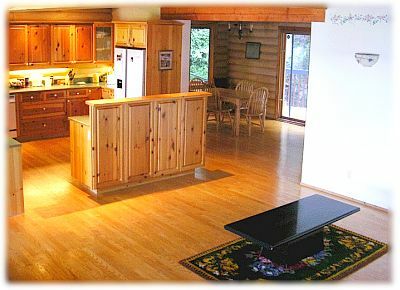 The country style kitchen is fully equipped and has enough room to seat 18 people. Relax on the back deck and listen to the sound of a seasonal stream cascading down the mountain side. Within a short distance of Serenity Bay there are many activities for you to enjoy. You can golf at the ocean-side Fury Creek. There is a private community beach and children's playground. The ski resort of Whistler is within an hour's drive up the spectacular Sea-to-Sky Highway. 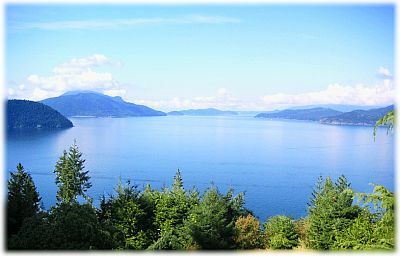 Serenity Bay is a short drive from Vancouver making this home perfect for corporate retreats and large gatherings. Views were amazing. We had a very enjoyable relaxing holiday. The only slight downside were the bedrooms downstairs, they were very dull in comparison and it did take a bit of encouragement to get our daughters to sleep down there as they thought it was a bit isolated and creepy. It meant some people had lovely views and some had none. This could be shown better on the web page.The rest of the accomodation was superb as was the location very peaceful and relaxing. The drive was very steep and as we were given very large cars at the airport it was difficult to get them both on the drive. Although we had a residents permit to park opposite the house a neighbour did complain that we shouldn't park there the first day we arrived not a friendly welcome! However they didn't say anything after that, maybe they just had a bad day. Overall a fantastic house and location and if possible we would definitely try to go again. The local gallery in Lions Bay was very friendly.